The floral industry has come a long ways from the ubiquitous Daisies in a Coffee Cup bouquet. 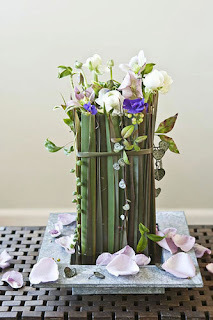 Today's modern florists are using new methods, new materials and new design techniques. 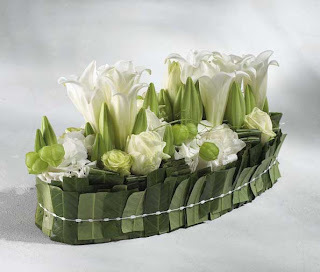 And with the globalization of the flower industry, we have access to really fresh and innovative materials all year round. Much of what's been considered 'old' is new again, in a new "incarnation"! 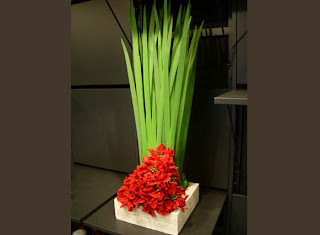 In the 60's, Carnations were all the rage, then later gained a reputation as a cheap filler flower. No longer! Today's Carnations are full and fluffy, longlasting, sometimes sweetly scented, and gorgeously colored. Bloomers recently did a wedding where the bride requested nothing BUT Carns, and it was gorgeous. Moving away from the tried and true, designers are structuring arrangements with more than just flowers. Leaves of all shapes and sizes may be glued, woven, stapled, bent, twisted or submerged. Wire may be used in place of ribbon. Powdered foam used instead of plain water. Fruit or vegetables may be incorporated. Flowers may be suspended or appear to be floating in air. With Valentine's Day just around the corner, why not go for something original this year? 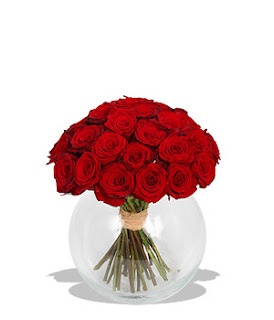 While there is nothing wrong with the 'Classic 12", a dozen red roses arranged in a glass vase with greens, an innovative florist can design something completely fresh that will wow your sweetie this year! Instead of relying on the wire service's tired offerings, call your local florist and ask what she can do especially for you! Have you placed your Valentine's Day order at Bloomers yet? Nice site! 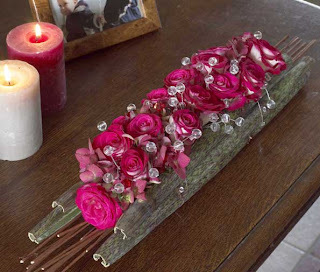 I really like this site because we can find here about flower decorations and for some others occasions. love the pink flowers arrangement. so lovely.